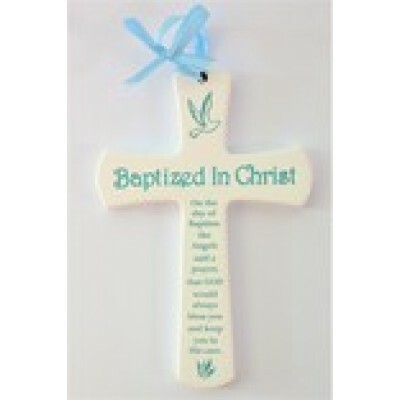 Cross: New Creation Wood 7"
"Baptized in Christ" - White Cross with Dove, Blue ribbon and prayer. 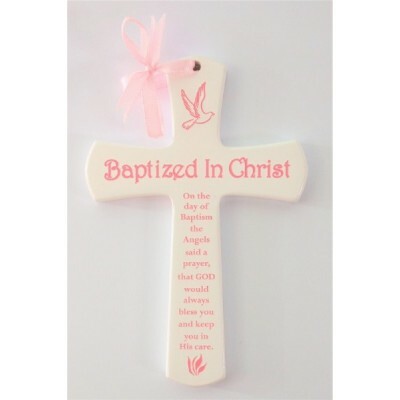 Special keepsake for Baby's Baptism. 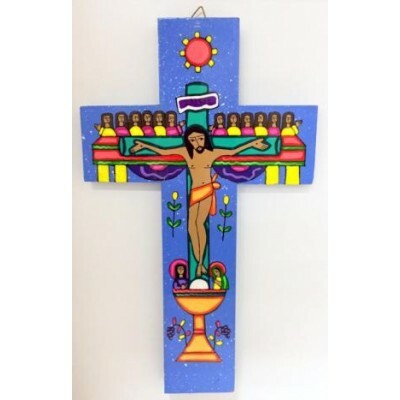 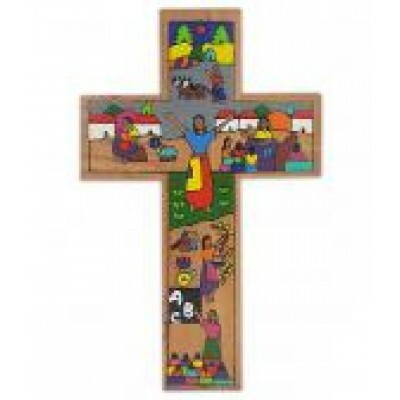 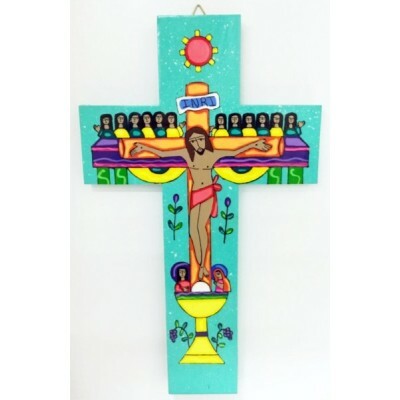 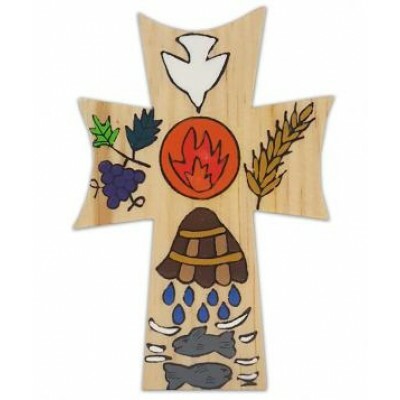 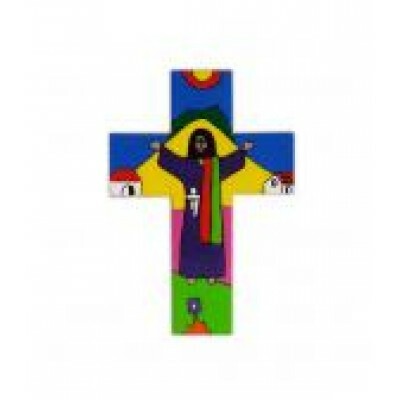 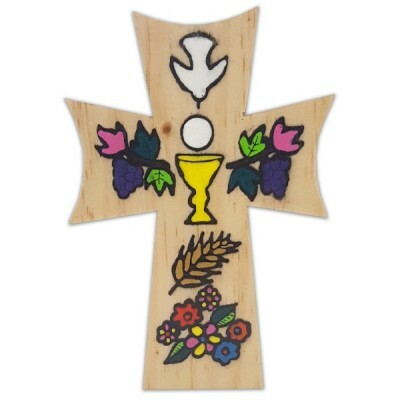 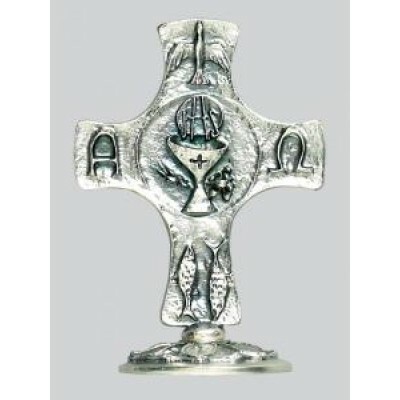 ..
Cross: Risen Christ - Wood 4"
Risen Christ Cross: hand painted in El Salvador.. 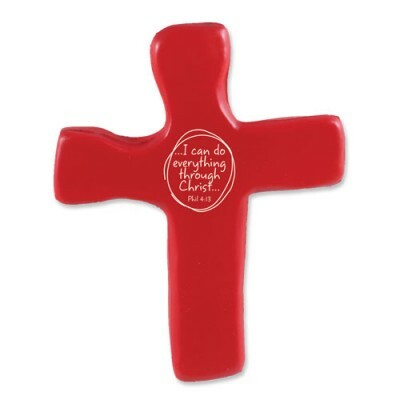 Hold onto the Cross - I can do everything through Christ Philippians 4:13 Squeezable, bright Red foam rubber cross, with Power of the Cross booklet included. 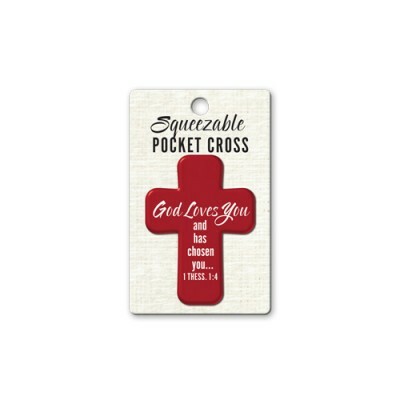 Size: 5" x 4" or 12.7 x 10.16cm..
God Loves You - Squeezable Pocket Crosses 1 Thessalonians 1:4 Materials: foam rubber Red, squeezable, pocket cross with Bible verse Hangable backer card Product Size: 1 1/2" x 2" or 3.81 x 5.08cm ..
Trust - Squeezable Pocket Cross Proverbs 3:5 Materials: foam rubber Grey, squeezable, pocket cross with Bible verse Hangable backer card Product Size: 1 1/2" x 2" or 3.81 x 5.08cm.. 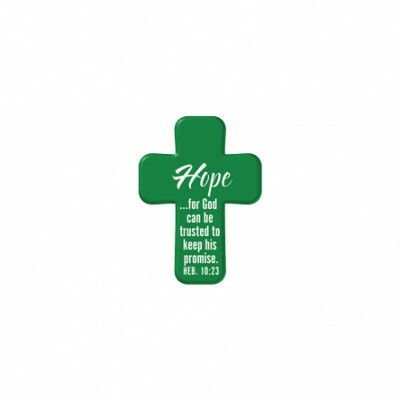 Blessed Squeezable Pocket Cross Jeremiah 17:7 Materials: foam rubber Purple, squeezable, pocket cross featuring Bible verse Product Size: 1 1/2" x 2" or 3.81 x 5.08 cm ..
Hope Squeezable Pocket Cross Hebrews 10:23 Materials: foam rubber Green, squeezable, pocket cross featuring Bible verse Product Size: 1 1/2" x 2" or 3.81 x 5.08 cm Hangable backer card.. 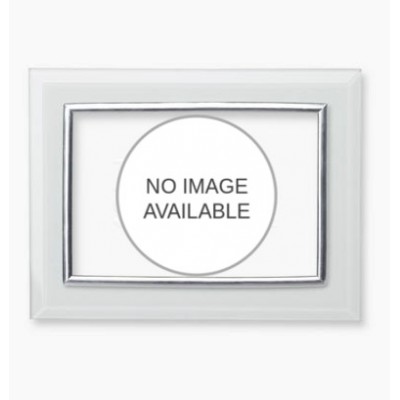 I Can Do - Squeezable Pocket Crosses Philippians 4:13 Materials: foam rubber Blue, squeezable, pocket cross with Bible verse Hangable backing card Product Size: 1 1/2" x 2" or 3.81 x 5.08cm ..